What do you wonder about? The mysterious ways of God? How to distinguish right from wrong? Whether life has an ultimate meaning? The act of wondering is a distinctively human and endlessly rewarding pursuit. By majoring in philosophy, you will cultivate an intellectually rigorous wondering—not only as an expression of your natural desire to understand, but as a central part of your Christian commitment. Faith seeks understanding, and understanding, when it is rigorous and critical, deepens faith. Why study philosophy at Gordon? The distinctive backgrounds and expertise of Gordon’s philosophy faculty will provide you with wide-ranging exposure to the major movements in the history of philosophy. You’ll study figures like Socrates, St. Augustine and Kierkegaard, and issues like the problem of suffering and what it means to live a good life. You will also engage with a community of Christian scholars who will introduce you to a life-long dialogue on crucial contemporary questions. What careers can I pursue with a degree in philosophy? If you are interested in cross-disciplinary issues, build on your philosophy major and explore these interests through the Kenneth L. Pike Honors Program.  As Pike Scholars, Gordon philosophy majors have pursued interdisciplinary study in topics such as environmental ethics, religion and society, and combinations of politics, philosophy and economics. Attend and submit your papers to undergraduate research conferences; join the Philosophy Club; learn about fascinating topics through the Center for Faith and Inquiry's visiting scholars lectures, which are often philosophical in nature. To cap your philosophy major, complete an honors thesis during your senior year. And our proximity to Boston affords you the opportunity to take advantage of lectures and resources there. Philosophy majors are encouraged to double major. Alongside your training in philosophy, you might also explore English language and literature, biblical studies, music, psychology, art, history, pre-health professions, political science, or another field of study.